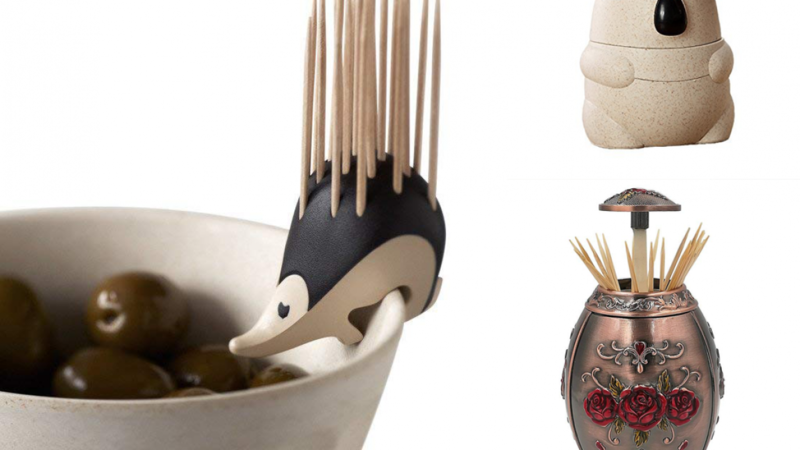 Sometimes it's the little things that matter when it comes to home decor and these fabulous and unusual toothpick holders are a good example. You can add some interest to any dining area, kitchen or event with these cool little holders. They are sure to attract attention and be a talking point for family members and guests alike. If you are looking for a cute little gift these are great because they are cool and inexpensive. A great idea for a housewarming party or for anyone who loves unique and fun kitchen items. Toothpick holders are important because you want to ensure that toothpicks are accessible and clean. They are often used for serving finger food at parties and events. You will use yours a lot if you entertain often. Brides who are planning a wedding also often search for themed decor because everything needs to match. If you are planning a wedding or event there are some cool ideas here to inspire you. 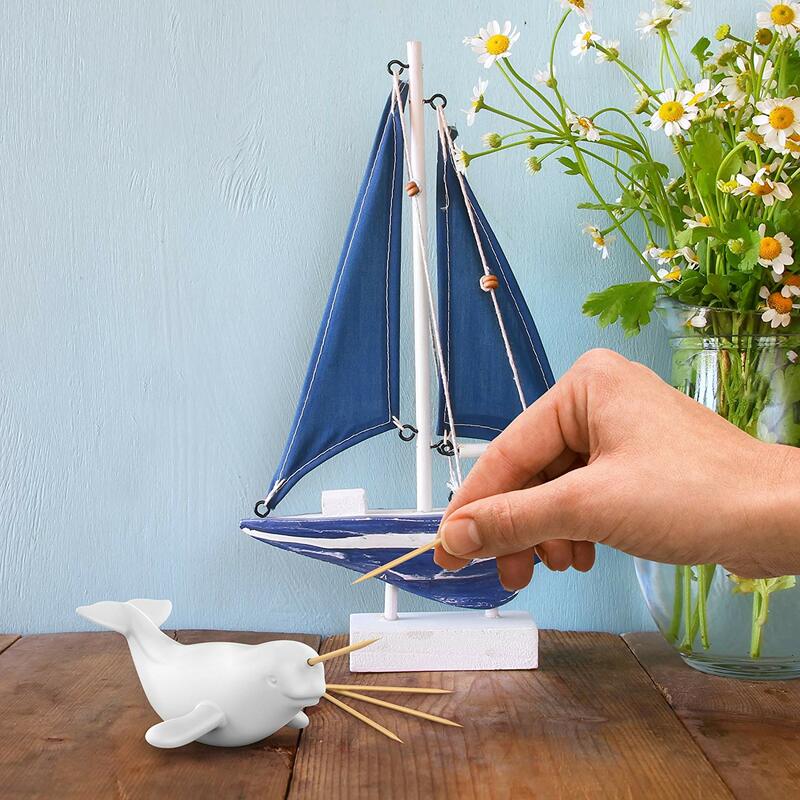 You can add a beachy vibe to any table service with this adorable whale toothpick holder. It is so cute, everyone is sure to love it. A perfect addition to any beach party or beach house kitchen because it will fit right in. This cool barrel toothpick dispenser holds and dispenses toothpicks for convenience. A lovely idea for a country kitchen or a mans office / den. 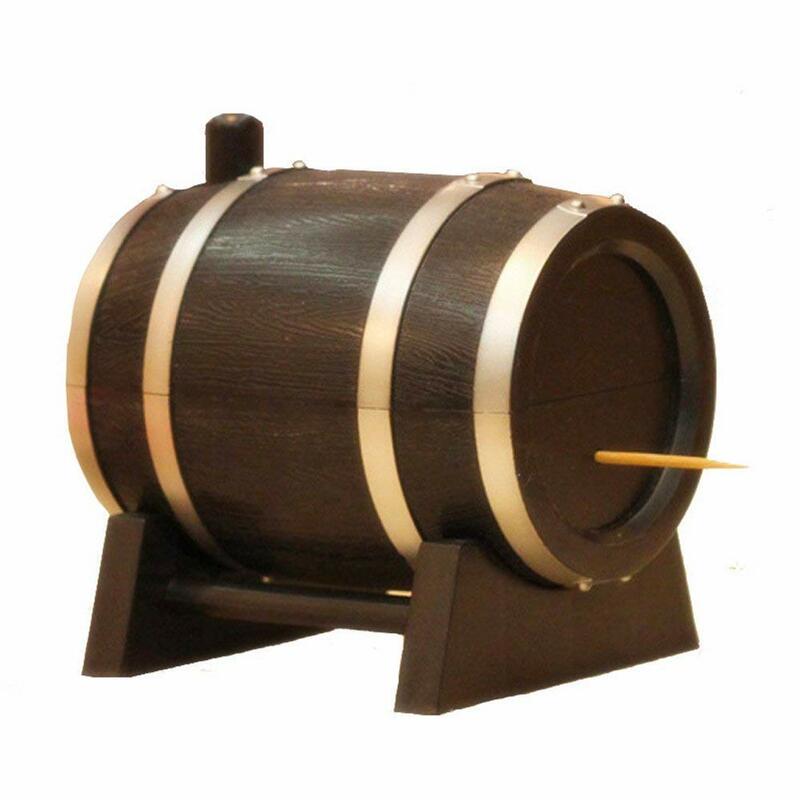 If you have a home bar this barrel toothpick dispenser may work well depending on the theme of your bar. It suits rustic and country decor very nicely because of the color and style it brings. 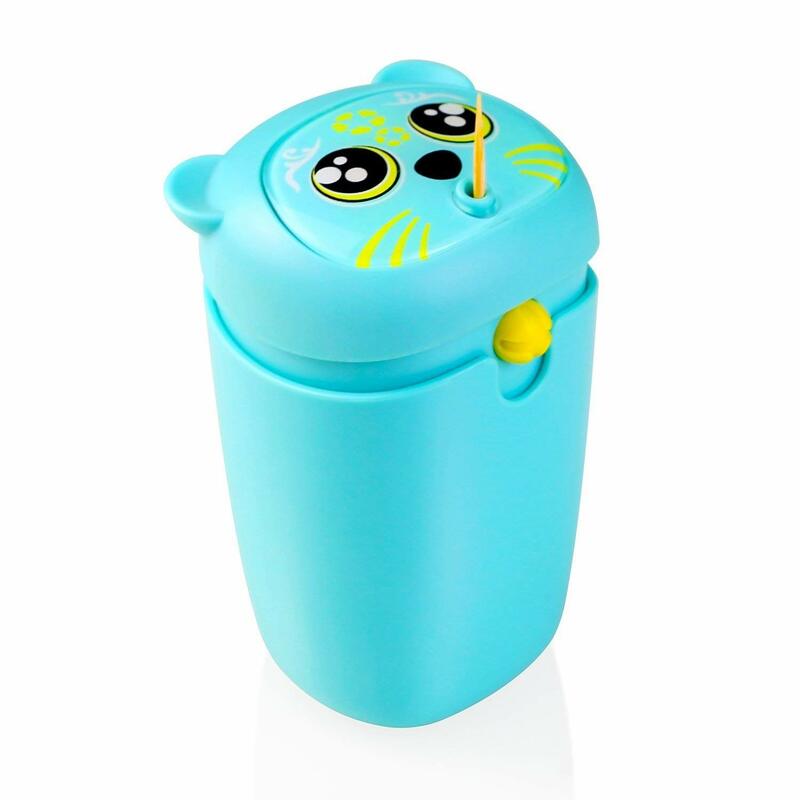 You will find that this cute toothpick dispenser will always be a topic of conversation. Push on his head because when you do he will pick up a toothpick for you. A cool addition to any home bar, finger food or cocktail service. Any bird lover or lover of fun little gadgets is sure to adore Willie the Woodpicker. 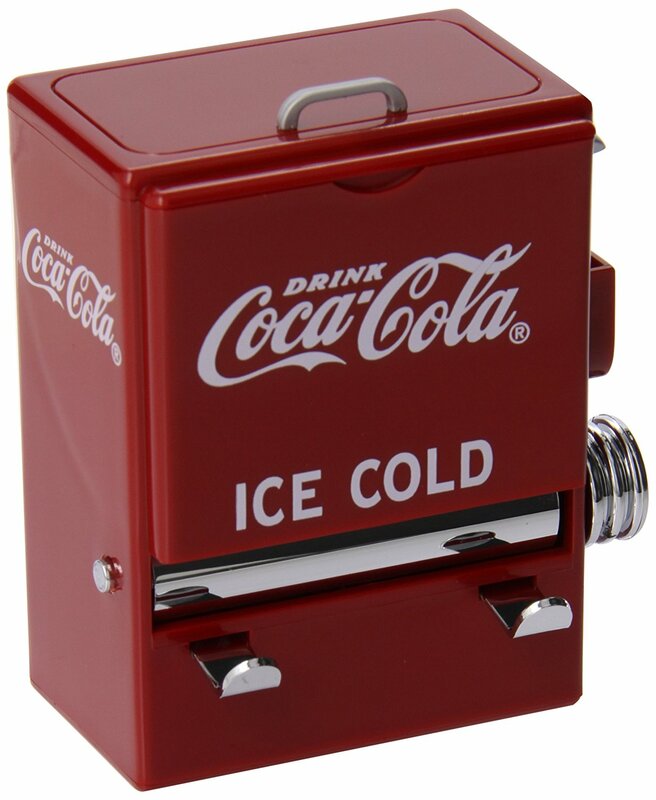 You will love this one if you are a collector of coca cola themed products because it is really cool. This coca cola themed vending machine dispenses toothpicks. Perfect for a commercial or home bar because it functions well and looks great. 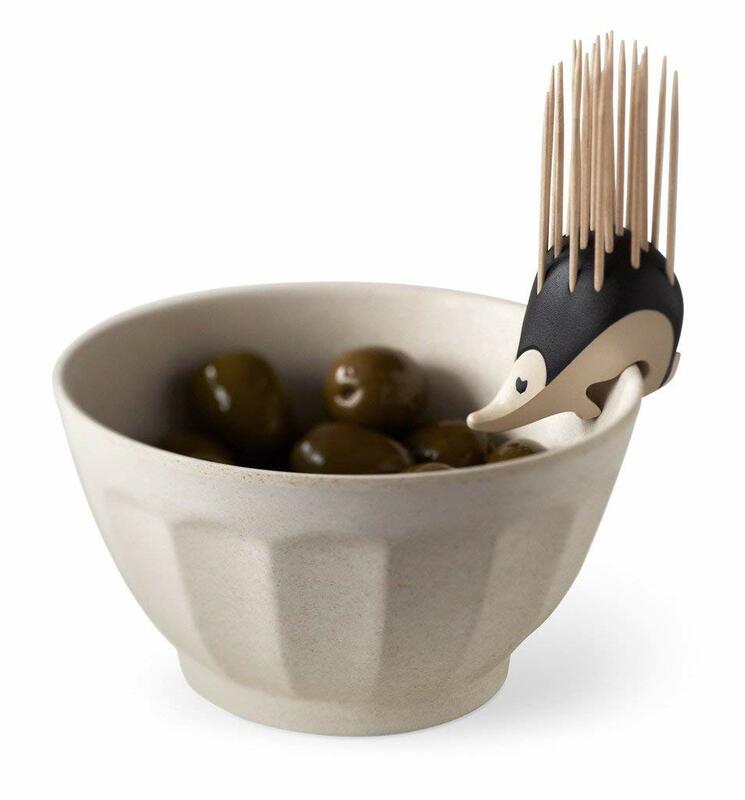 You will love this toothpick holder because it is so cute and convenient. It will sit flat on the table or sit on the edge of a serving bowl. If you enjoy entertaining large groups of people you will find it handy to have several of these. A great idea for events, occasions or everyday. This one is environmentally friendly because it is made entirely of recyclable ABS plastic. If bright fun colors are your style you will love this one because it is so cute and cool. 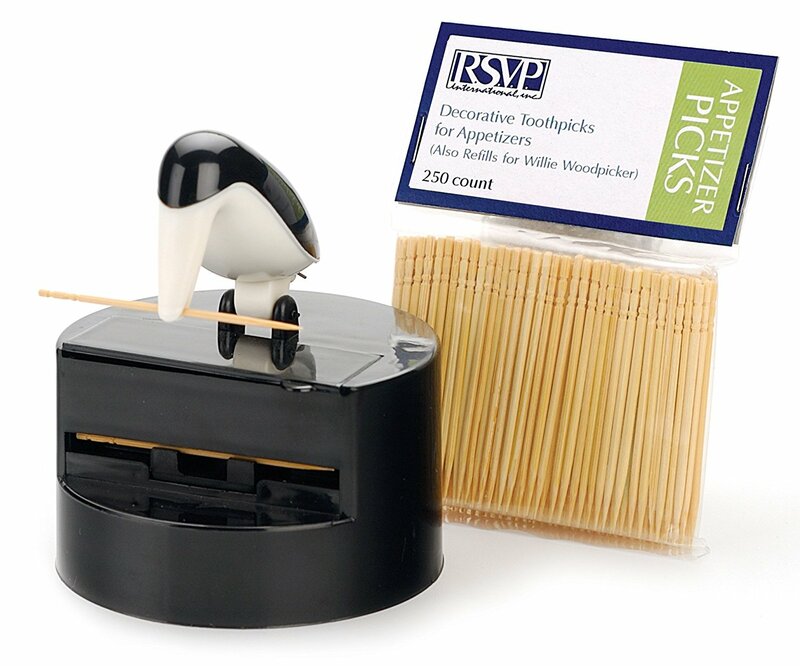 It can hold a lot of toothpicks and it dispenses them at the touch of a button. Keep your toothpicks clean until they are ready to use and brighten up your decor. If you have children this one might appeal because it is so much fun and so easy to use. 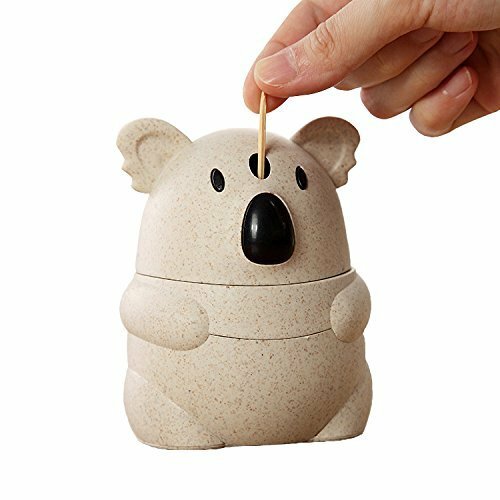 This little koala features a spring mechanism which enables it to dispense your toothpicks. Anybody who loves animals is sure to find this adorable. A great idea for Australia Day or as a cute gift for someone special. You will find it hard not to love this one if you love ocean creatures. A lovely choice for a beach side home or holiday house. This little narwhal just needs a quick shake and your toothpick will be ready to use. There is also a whale available via this same link. 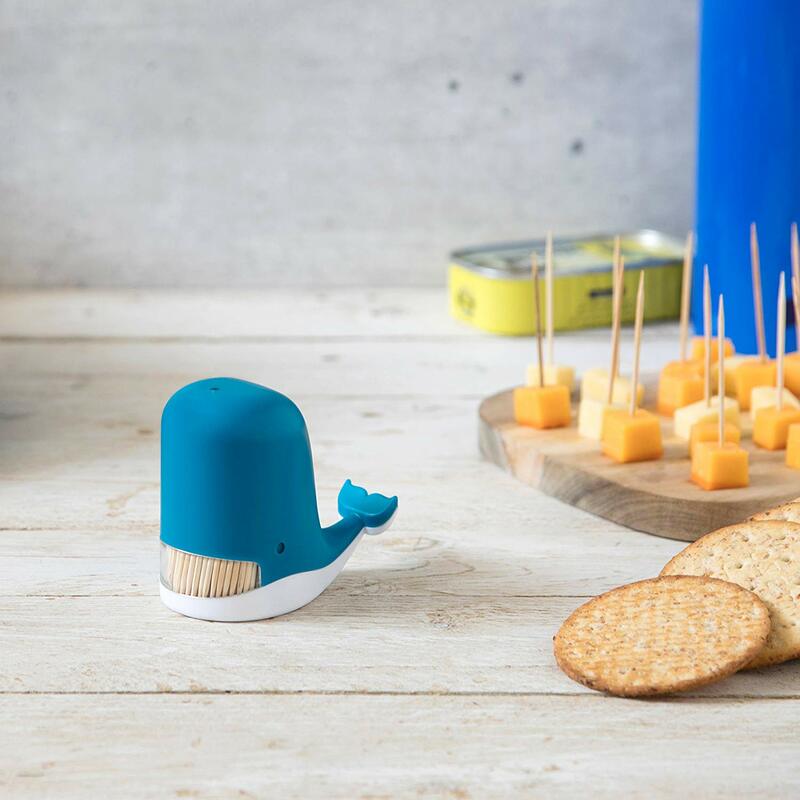 The whale dispenses toothpicks via it's blowhole. 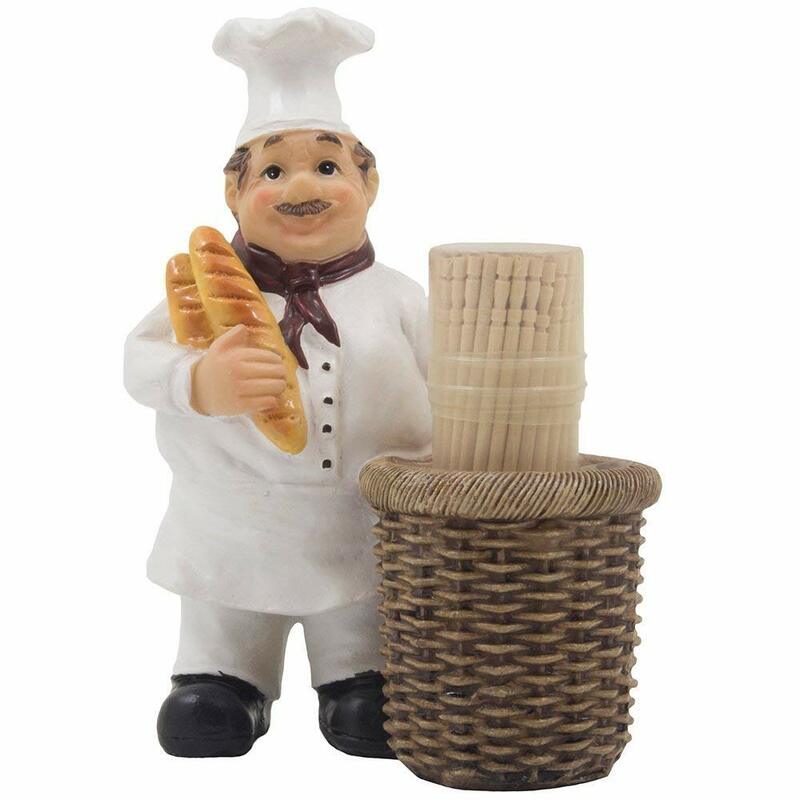 This little baker toothpick holder is sure to add some character to any home or culinary kitchen. It has been handcrafted from cold cast resin and there is a plastic container in the chefs bread basket to keep your toothpicks clean and free of dust. 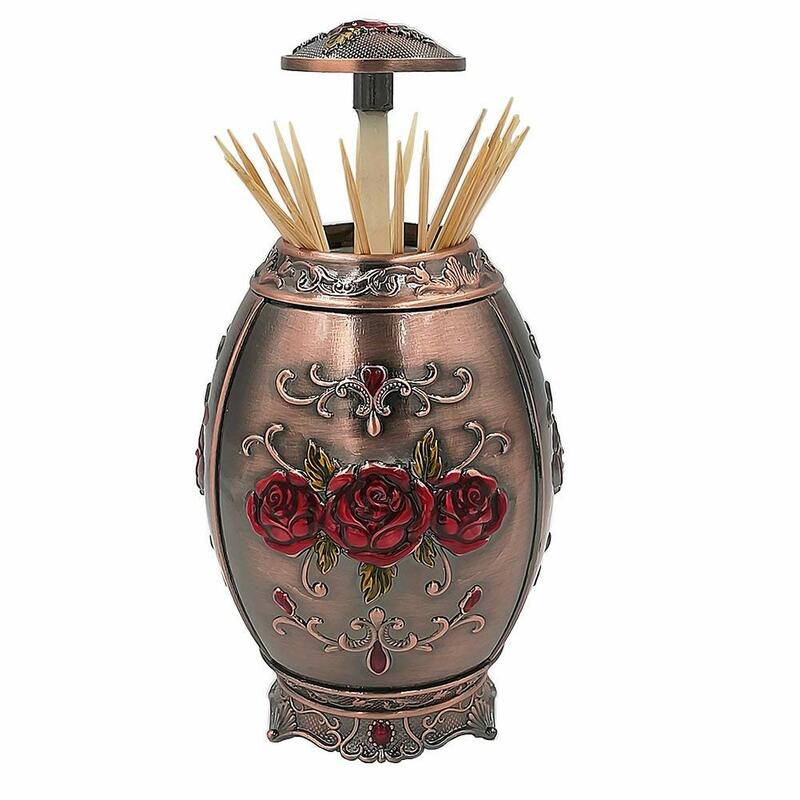 Any retro or rustic home is the perfect setting for this beautiful and unique toothpick dispenser. The inner shell is made from food grade materials and the outer shell is made of premium zinc alloy.